Are you a buyer looking for a great buying opportunity? Visit this home! Clean & fresh with updates including flooring, paint & a new roof, this is the one! 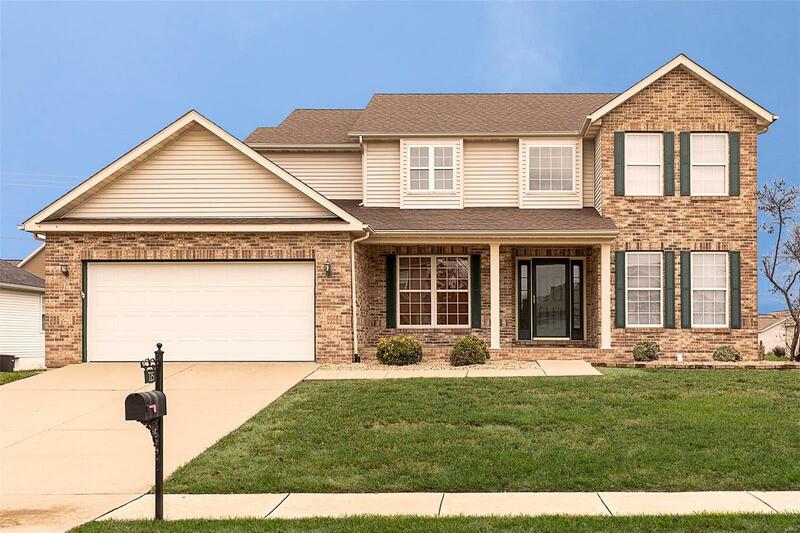 This home presents beautifully with lots of brick & the right color scheme both outside & inside. Itâs ready for your stuff & your style right now! Notice the intricate stairway gracing an open foyer which is flanked by both living & dining rooms. You will approve of the main living area which has a large family kitchen, a breakfast room with desk area & a comfortable family room - all in one space overlooking a perfectly fenced yard ideal for pets, a pool, a garden, or a picnic!. The full finished basement features not only a rec room, but 2 other finished rooms! Upstairs, the large vaulted ceiling over the master BR makes the room feel huge. 3 more bedrooms make good use of the space. This location is perfect for making quick work of everyday life so you can be home to enjoy more of what this home offers. See the HD video!